What Is Your Ideal Weight for Your Height? Adults can use the charts below to find the traditional ideal weight for your height and at a healthy body mass index (BMI). While older methods used different equations for men and women, a newer study proposed a unisex equation based on body mass index. A BMI of 22 is in the middle of the normal weight range and is associated with the best health outcomes. These charts are not valid for children or teens. Remember that ideal weight is not an absolute target for either appearance or health. The values in the charts are estimates and may not take into account factors like muscle mass or health conditions that affect weight. 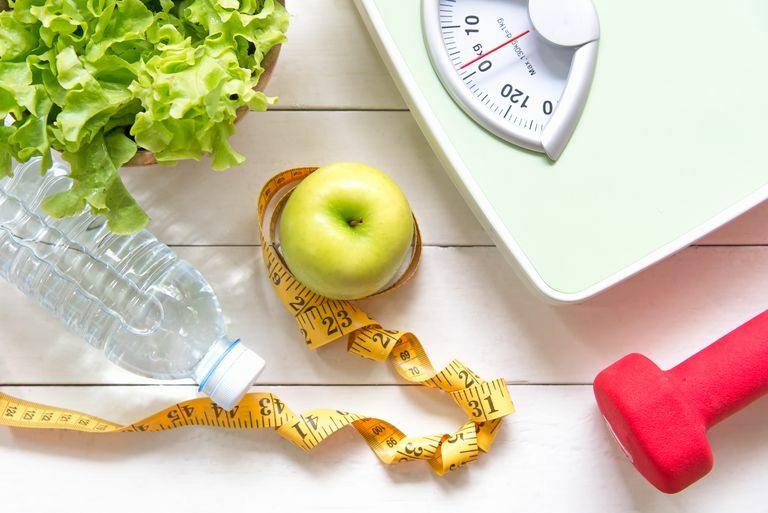 The traditional ideal weight calculation is essentially a rule of thumb rather than being based on health research or a comprehensive study of population averages. Men: Ideal Body Weight (in kilograms) = 50 + 1.9 kg per inch over 5 feet. These equations were developed for use by doctors to calculate drug dosages. They tend to overestimate ideal weight at shorter heights and underestimate it at taller heights. However, a 2016 study found that the results correlate well with the body mass index of 21 for women and 22.5 for men, which is near the middle of the healthy BMI range. The authors of the study suggest a different equation using body mass index. The healthy BMI range is the same for men and women, so the results apply to both. The healthy normal weight range is a BMI between 18.5 and 24.9. A body mass index of 22 is in the middle of that range. The biggest differences between the older equations and the newer equation come in the taller height range. Also, the ideal for women is the same as for men when using BMI, and the new equation allows a few pounds more at each height for women than the older charts. You can look great and be healthy in a wide range of weights, but it is worth noting that being underweight is associated with poor health outcomes and higher mortality for some conditions, as is being far above the healthy BMI range. If your weight is above that of the ideal for your height on the charts, it is tempting to think that it is because you are lean but very muscular. This may be true in some cases, but most people usually weigh more because they have more body fat. Your body mass index, calculated from your height and weight, is commonly used by health authorities to assess if you are overweight or obese. Very muscular people may have a higher body mass index while still having low body fat. Meanwhile, people who have lost muscle mass and replaced it with fat may appear to have a normal BMI when they actually have too much body fat and not enough muscle for good health outcomes. The U.S. Centers for Disease Control recommends using both the BMI and your waist circumference to determine whether you are at a healthy weight. A waist over 35 inches for non-pregnant women and over 40 inches for men indicates a higher risk of obesity-related conditions, according to the CDC. There are other ways to measure a healthy weight and whether you have increased body fat. You can find your BMI with a simple calculator using your weight and height. It will then characterize your BMI as underweight, normal, overweight, or obese. Your body fat percentage is not the same as BMI. This measurement is often used to assess whether you are gaining muscle or losing fat. The healthy ranges are different for men and women. There are a variety of ways to measure it, including using a body fat scale that uses bioelectrical impedance. It is not as simple to find the ideal weight for children and teens (up to age 20). The equations for body mass index are different from those of adults. The standard formula to calculate a child's BMI is weight / (height x height) x 703. This can be done with a calculator on the CDC site. Then the result is compared to a percentile chart based on age. Normal weight is a BMI between the 5th percentile and the 85th percentile. The CDC has a weight for stature table (in kilograms) based on age. What Do Different Heights and Weights Look Like? Muscularity: People who have more lean body mass—muscles rather than fat—will have a different appearance from someone of the same weight who is less muscular. Porportions: Each person has different proportions. Some people are longer in the legs and shorter in the torso, and vice versa. If you are a short-waisted woman, it's unlikely you'll have an hourglass figure with a nipped-in waist that you may desire, no matter what your weight may be. Body Shapes: The SizeUSA study found these variations for women in 2004: Forty-six percent were rectangular with the waist less than 9 inches smaller than the hips or bust. Twenty percent had a pear-shaped figure with the hips larger than the bust. Fourteen percent were inverted triangles with the bust bigger than the hips. Only 8 percent had an hourglass figure with equal hip and bust measurements and a narrow waist. However, the fashion industry generally designed for an hourglass shape. Male body shapes have generally been categorized as ectomorph, endomorph, and mesomorph. Where You Store Fat: Fat is stored throughout the body, but different people tend to put on extra fat in different places. Some people store extra fat on their stomach and torso, giving them an apple shape. Others store it on their hips, buttocks, and upper thighs, giving them a pear shape. Age: Body composition changes as you age. There are large differences upon the onset of puberty as male and female hormones change the body shape. Then, as women enter menopause, the balance of hormones change and they may see a change in where they store fat. Entering older age, both men and women have to work harder to maintain muscle mass. That being said, it might be helpful to see what other people look like at your weight and height for goal setting. There are multiple online galleries where readers can post their pictures, such as My Body Gallery. You don't have to strive to meet a certain number in order to have a healthy and appealing body. If you find yourself focused too much on the scale getting discouraged, take positive steps instead. It is more important that you are physically active and eat nutritious food to keep your body strong and in working order. A healthy glow is always attractive. Peterson CM, Thomas DM, Blackburn GL, Heymsfield SB. Universal Equation for Estimating Ideal Body Weight and Body Weight at Any BMI. The American Journal of Clinical Nutrition. 2016;103(5):1197-1203. doi:10.3945/ajcn.115.121178. SizeUSA The National Sizing Survey Women Body Measurement and Data Analysis Reports on the U.S. Population, 2004. What Is the Average Weight for an Adult Woman? What Is Causing Your Belly Fat? How Normal Is Your Waist Circumference?